The Grand National is now within reach, which means it’s all go at EP. 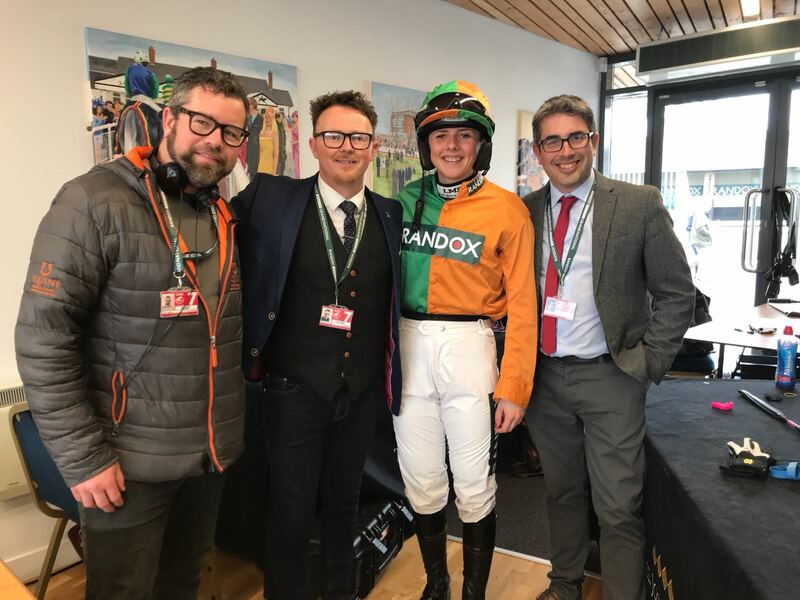 The team relocated to Aintree fresh from the Breeze Up sale in Doncaster, and are now setting up for the 2018 Randox Health Grand National Festival. As well as the Grand National itself on Saturday, they’ll be filming a highlights feature for Ladies Day and another Goffs sale – all on behalf of ITV Racing. The team also had the official release of an Olympic Channel film for speed boarding earlier this week, kicking things off nicely ahead of the weekend. The EP JockeyCam team swapped horsepower for a different kind of need-for-speed at Kozakov Challenge – the preeminent downhill skateboarding event in the Czech Republic. Downhill skateboarding is the fastest board sport in the world where competitors race down mountain roads at extreme speeds. As part of the campaign to make downhill skateboarding an Olympic sport, EP used JockeyCam to capture the through-the-eyes adrenaline of the sport – from thrills and spills to behind the scenes. A special thank you to Daniel Engel and Emily Pross who made the team feel so welcome. The EP team will be shooting a highlights film for the glamorous side of Aintree festival on Ladies Day, which for the ladies of Liverpool is known as the Ascot of the north. This is an opportunity for racegoers to dress up for the style stakes, whilst enjoying top class racing action on the iconic Aintree racecourse. Organisers will be on the lookout for Aintree’s most impressive fashionista, who will be crowned Style Award winner at the end of the day. Back again for racings biggest annual event, the EP team will be providing live stream JockeyCam footage during the Grand National for ITV Racing. JockeyCam is a specially designed helmet camera, weighing just 74 grams. The state-of-the-art device will offer a first-hand perspective in the tactical decision-making process a jockey is faced with throughout the Grand National, allowing fans a foot-in-the-stirrup sensation over racings biggest fences. The team will be using their latest technology, the IMTDragonfly by Vislink – an RF video transmitter recently seen at the Winter Olympics. Weighing just 234 grams, this makes it ideal for the racing circuit. The usual set-up also includes the tracking vehicle provided by ACS and the live feed by BRF. The Doncaster Breeze Up Sale is the place to find the next generation of racehorse stars, who in the short term will all be aiming towards Royal Ascot in June. The 2-year-olds gallop a short distance and their performance is timed to assess their potential on track. EP regularly works with Goffs and on this occasion they were shooting a promotional review film and live stream footage for ITV Racing. It was a pleasure for the team to work with renowned presenter Mike Cattermole from Channel 4. The Aintree Sale is a boutique sale of horses after racing at Aintree’s Randox Health Grand National Festival. As with the Breeze Up Sale, the team will be shooting a promotional review film and providing live stream footage. Well that’s a whistle stop tour of events this week – more updates next week when we’ll be looking back at the results of the Grand National.